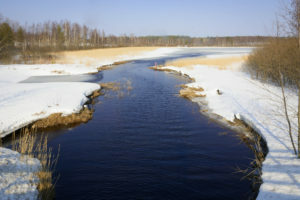 Elämä – Mitä se on ja missä sitä on? 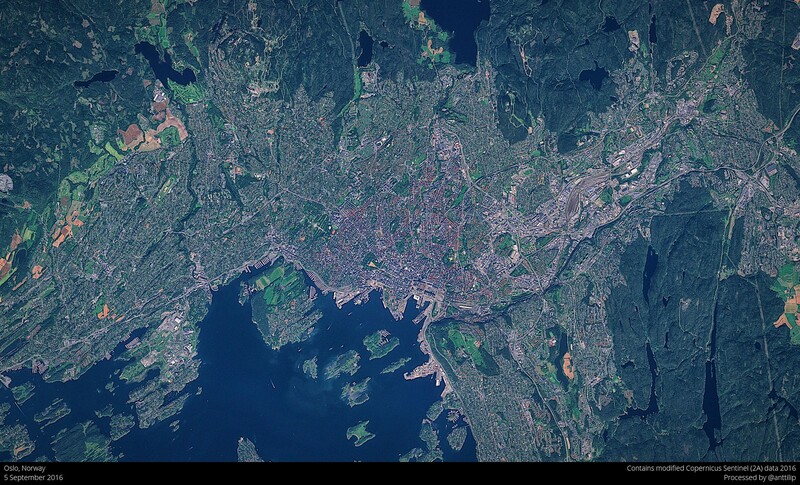 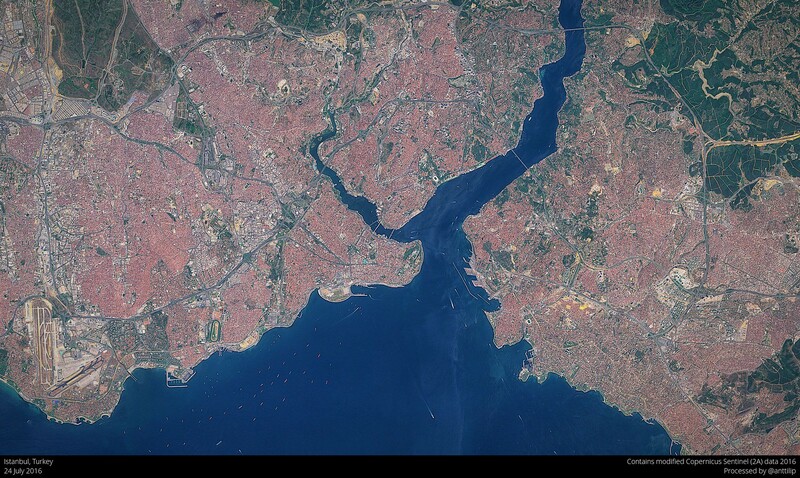 Oslo, Norway, as seen by Sentinel 2A satellite on 5 September 2016. 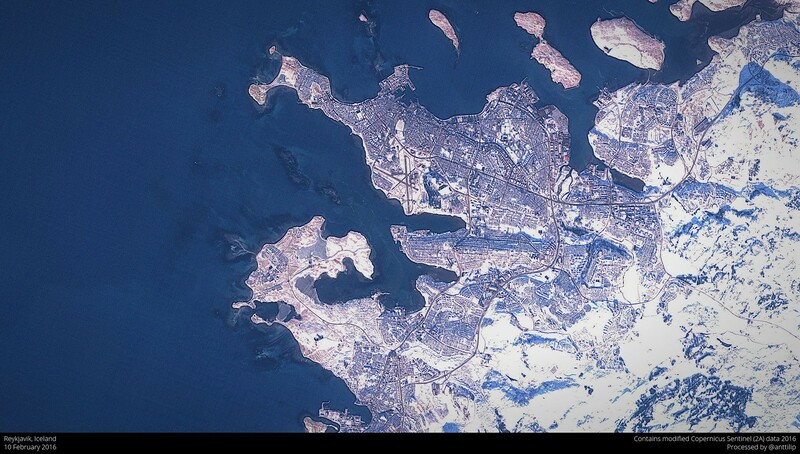 Reykjavik, Iceland, as seen by Sentinel 2A satellite on 10 February 2016. 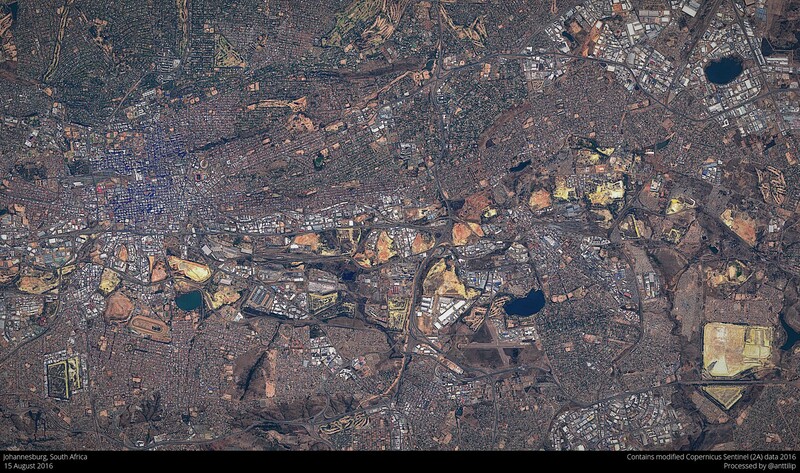 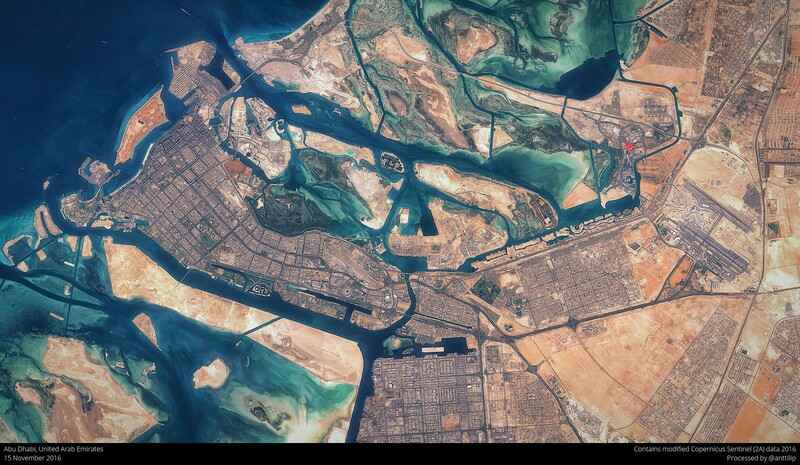 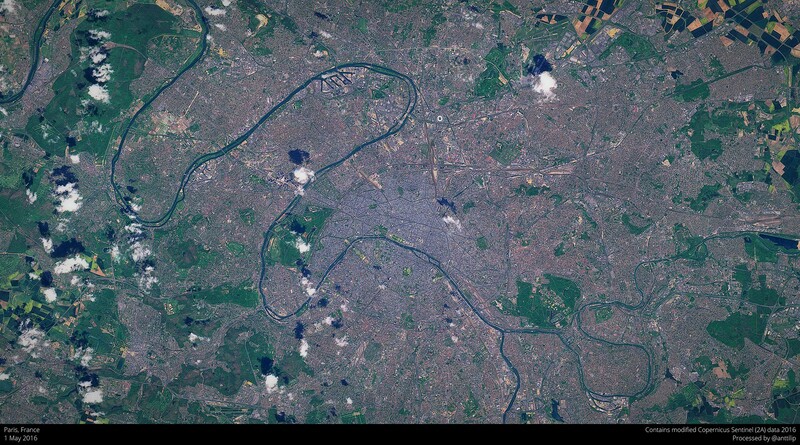 Johannesburg, South Africa, as seen by Sentinel 2A satellite on 15 August 2016. 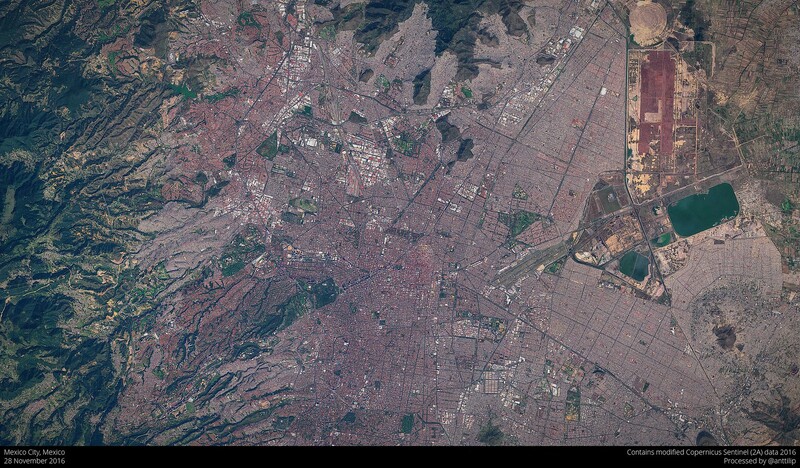 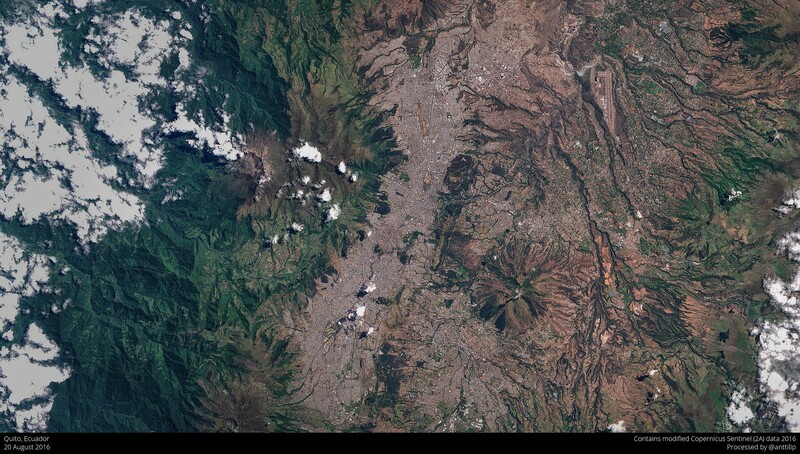 Mexico City, Mexico, as seen by Sentinel 2A satellite on 28 November 2016. 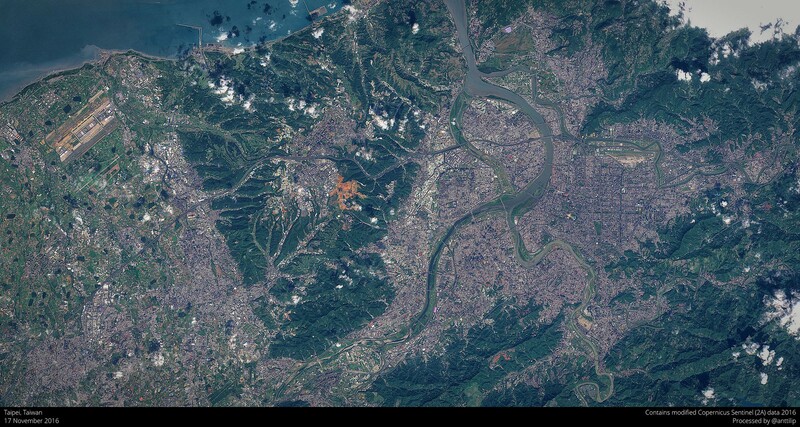 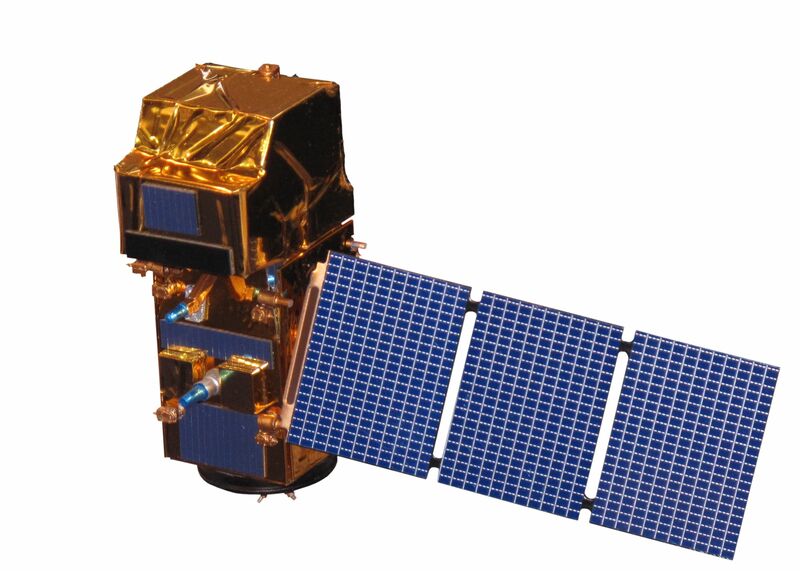 Taipei, Taiwan, as seen by Sentinel 2A satellite on 17 November 2016. 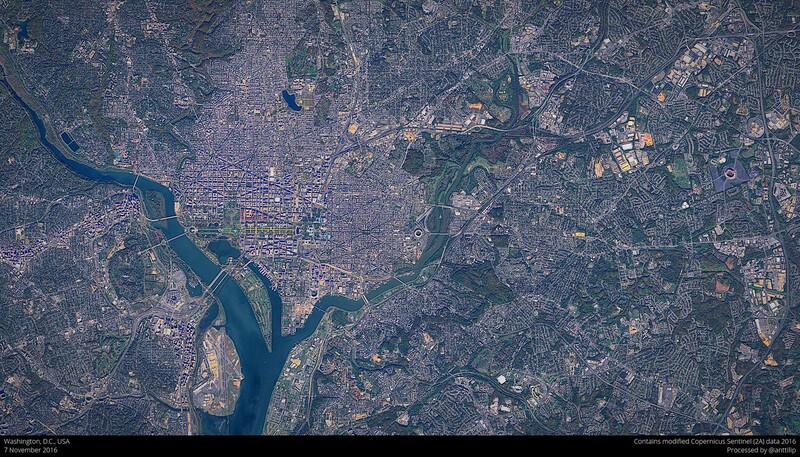 Washington D.C., USA, as seen by Sentinel 2A satellite on 7 November 2016.